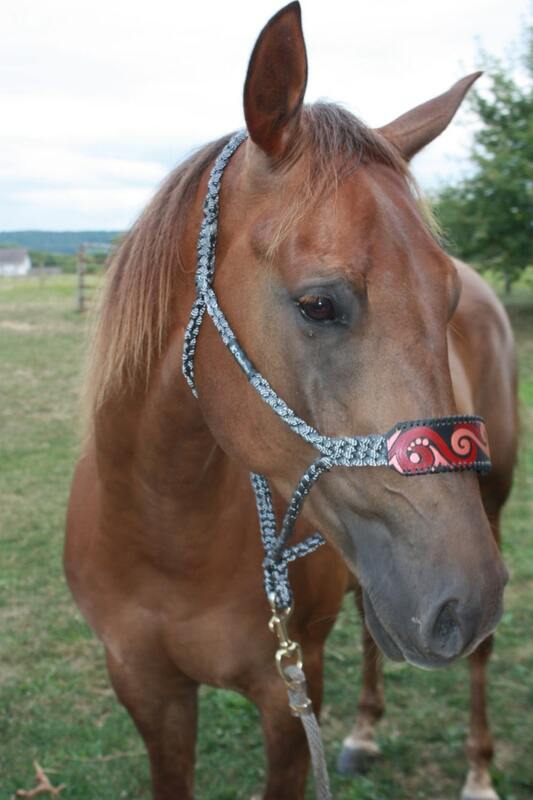 One of a kind rope horse halter. Beautiful hand painted noseband with bronze and read swirls and buck stitching on edges. The braided charcoal grey halter is soft and supple. Every aspect of this halter is high quality products that are durable and will last. Fits the horse great, pictured on an average size horse head but can adjust to fit larger or smaller since it ties. You will not find anything else like this!